Secessionist movement Mthwakazi Republic Party (MRP) activists have taken their Gukurahundi advocacy to another level after they unveiled T-shirts labelling themselves dissidents to the government. The T-shirts inscribed “I am the dissident that the Fifth Brigade was looking for” are now common in town as the activists seek to send a bold message to President Emmerson Mnangagwa’s government. One of the activists who have been proudly wearing the T-shirts is Wisdom Mkhwananzi who made headlines last month after he was arrested for undermining and insulting Mnangagwa while testifying during the commission of inquiry on the post 2018 harmonised elections violence which occurred in Harare. 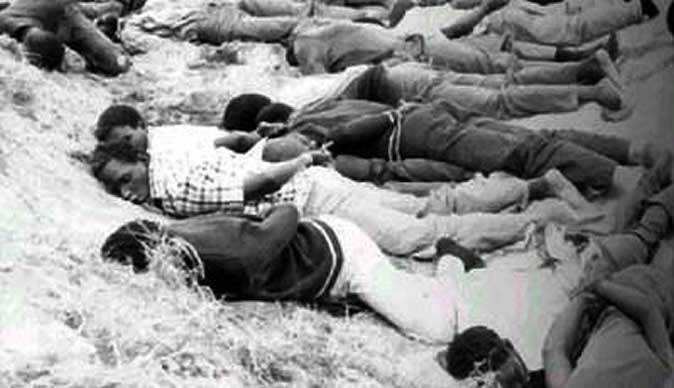 “By wearing these T-shirts, we are simply reminding perpetrators of Gukurahundi that the atrocities will be stuck with generations to come for years.